Happy Monday! Not much going on in my part of the world. I'm grateful we survived the big winds and escaped the flooding and snow that plagued those living farther north and east. I'm also happy that all the big shows are behind us: Super Bowl, Olympics, Academy Awards. I'm ready to be free from the television shackles so we can get back to the shows we really want to watch and return to commercial-free viewing. Plus all this television is cutting into my reading time! 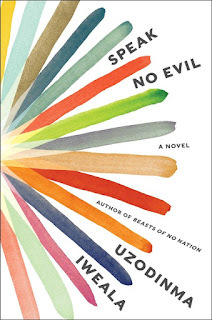 I read Speak No Evil by Uzodinma Iweala (Harper, March 6), which is a timely story of immigration, sexual identity, and black profiling set in a wealthy Washington, DC neighborhood. All Niru has to do is get through the last months of his senior year at a prestigious day school. He has his early-acceptance letter from Harvard, and his best friend, Meredith, is one of the prettiest, smartest girls in his class. But Niru isn't like the other rich kids. He's a first-generation Nigerian American and feels the pressure to meet his parents' every Western dream. He also suspects he's gay, something he could never tell his religious parents or the guys on his track team. My heart went out to Niru, who seemed to carry the burden of other people's happiness on his shoulders. 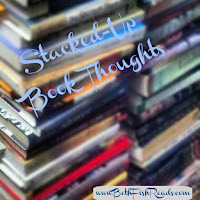 When he finally does one thing for himself, his life unravels, and he finds little support anywhere. The ultimate fate of Niru is strongly foreshadowed but that doesn't take away from the impact of the story. I was especially interested in Niru's father's behavior, which displayed a mix of cultural and religious expectations. In the end, though, Iweala's novel is about what happens when we fail to treat people with humanity, empathy, and understanding. This book is well deserving of all its starred reviews. I listened to the unabridged audiobook (Harper Audio; 6 hr, 21 min) read by Prentice Onayemi and Julia Whelan. Onayemi performs the bulk of the book, which is told from Niru's perspective. He captured the teen's personality and inner conflicts, and his Nigerian accents seemed realistic and consistent. Whelan reads the parts told from Meredith's view, also doing a fine job. My full audiobook review will be available from AudioFile Magazine. Janet Beard's Atomic City Girls (William Morrow, February 6) takes place in the secret, heavily guarded city of Oak Ridge, Tennessee during the final year of the war. June is a smart country girl with a limited future, so she jumps at the chance to work for the government and to further the war effort. Cici, her beautiful roommate, is at Oak Ridge for one thing only: to marry rich. Joe, a black construction worker, has moved north to earn enough money to keep his wife and children from absolute poverty. The novel covers a lot of issues without being overwhelming: the making of the atomic bomb, the building of a military research facility, the differing ambitions of the people who worked there, race issues, feminist issues, jealousies, and antisemitism. Although books about how women helped win the war are popular right now, Beard's contribution is interesting because it focuses on the personal stories of ordinary people who were hoping to make better a better future for themselves as well as for the country. It was easy to root for June and to hope that Cici would get her comeuppance. The story is made all the better because the author has family connections to Oak Ridge and the Manhattan Project. I listened to the unabridged audiobook (Harper Audio; 8 hr, 46 min) read by Xe Sands. Sands's soft, expressive performance kept my attention, and I especially appreciated her consistent, thoughtful characterizations. I'll have more to say about the audiobook in AudioFile Magazine. I've been hearing great things about Speak No Evil (Susie at Novel Visits loved it). It's on my list. I did love Speak No Evil. It was my favorite book read in February. I felt like there were so many layers to Niru's sad story. I read it, but the audio sounds wonderful. 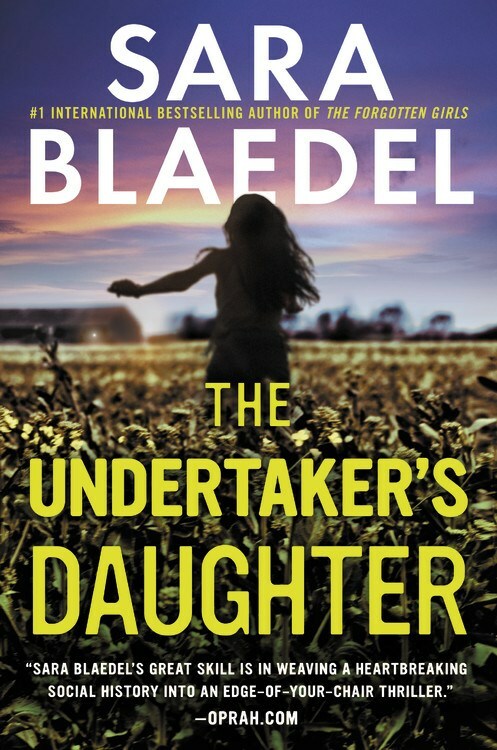 The Undertaker's Daughter sounds intriguing. I hope the sequel appears soon. Come see my week here. Happy reading! Speak No Evil sounds like a timely story...thanks for sharing. Atomic City Girls looks like another one to read. I really liked Atomic City Girls; I found Joe’s story the most compelling. I've heard great things about Atomic City Girls. It sounds like a great book. 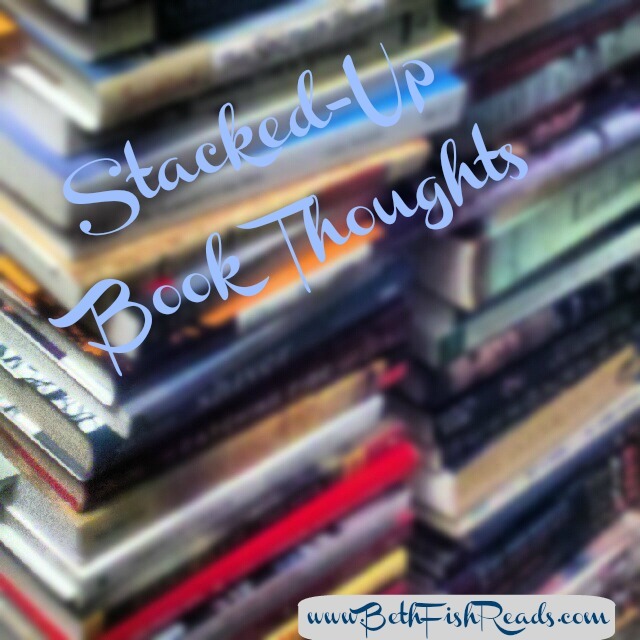 I reviewed Speak No Evil for Shelf Awareness - such a quietly powerful novel. Sounds like it was good on audio. Glad to hear you enjoyed Atomic City Girls on audio, too - I just downloaded the audio myself. I have a huge audio backlog, though - I'm listening to too many podcasts now! P.S. Another Nor'Easter coming tomorrow :( We lost a half a tree on Friday. The Atomic City Girls looks really good. I'll have to add that one to my list. Hope you have a great week! The Atomic City Girls sounds like a very good read. All three books doubt very good in different ways. Thanks for the post. All three books sound quite intriguing! Enjoy. 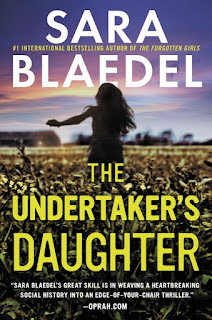 Of the three, The Undertaker's Daughter got my attention.